Green Heart Films is in no way funded or . related to Eco Films in any manner whatsoever. Green Heart Films has just returned from our latest expedition to the Western region of the Pacific ocean where we have been filming for our latest conservation documentary, Blue In Focus. 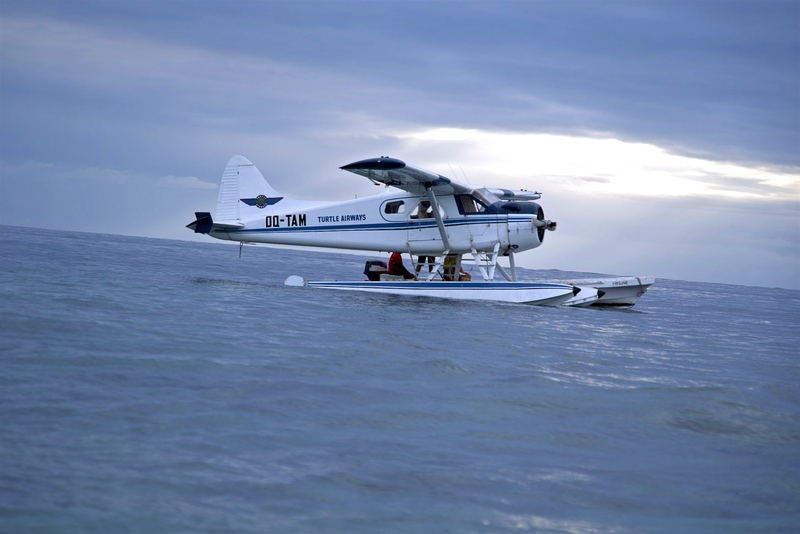 The journey begun with a flight from London to Hong Kong and then onto the islands of Fiji. I have come to this region in order to film sharks in a marine environment and Fiji offered a spectacular location and an opportunity to film up to forty bull sharks and other less aggressive species such as reef sharks which are also found in abundance on a reef known as the Beqa coral reef. For over ten years a former Swiss banker has been running extreme diving trips to view bull sharks and one particular benefit for marine conservation is that local communities are able to earn a living from divers visiting this regions coral reefs. Due to the numbers of divers interested in viewing sharks the Beqa coral reefs have become marine protected areas and as such both sharks and other marine species have recovered back to there former state of health and all forms of fishing on the reefs is now prohibited by Fiji marine parks. I was to spend a successful month filming underwater on the Beqa reefs and was able to catch spectacular imagery on a number of sharks species but the majority were the more aggressive bull sharks which on occasions would number over forty. From Fiji I was to visit another remote location which would be the islands of Vanuatu. 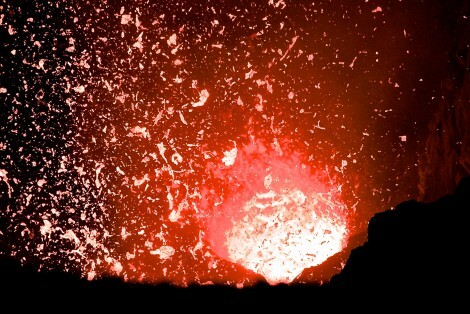 I had come to these islands to visit live volcanoes and the regions remote tribal ceremonies. On arrival in the islands small capital known as Vila I was driven to a small guest house and as soon as I entered the apartment the building rumbled and begun to vibrate much to my surprise. The receptionist who had shown to my room moved quickly across the floor and stood in the frame of an open door and my immediate reaction was to ask “earthquake”, ‘yes’ and with that I quickly exited the building. After two uneventful days of diving on the main island I traveled south to another island called Tanna in order to witness one of the Pacific’s most active volcanoes. Whilst driving across the beautiful island of Tanna I was to view the volcano from a distance as the sun begun to sink and plumes of smoke billowed from the black volcanic peak. 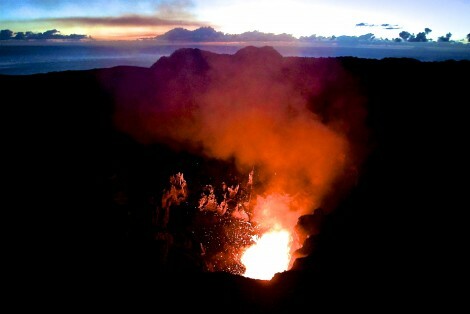 On the next day at four I rose to trek up to the summit of the volcano and was rewarded with a vision of Dante inferno of fire and molten lava being emitted during occasional explosions from a deep volcanic crater. As the sun rose the spectacle of the volcano was reduced by the raise of the morning sun which slowly rose into the crystal clear air of the early morning. 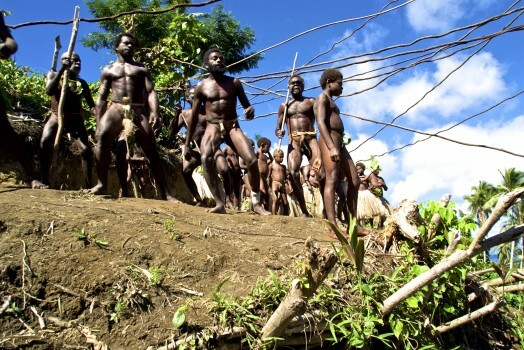 From the island of Tanna I was to continue onto another remote island outpost named by captain James Cook as Pentecost and here I was to witness an ancient ritual right of passage. 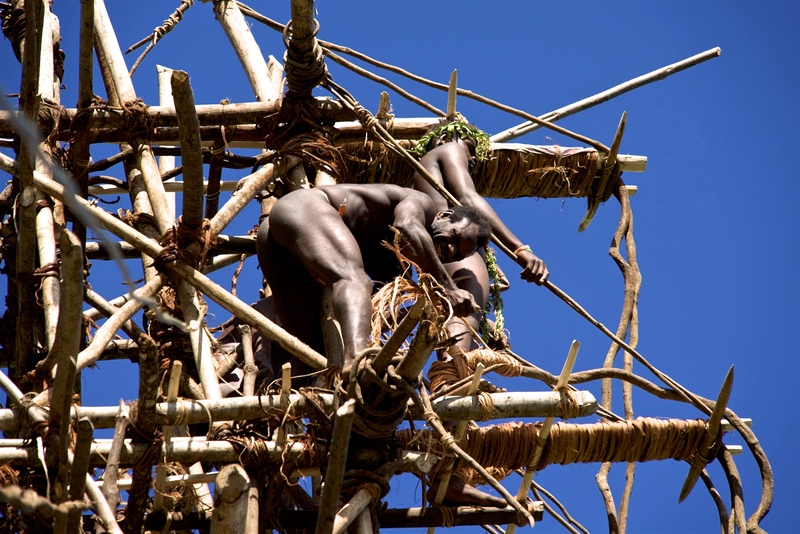 A bamboo frame of thirty metres had been constructed in a jungle clearing and aspiring young initiates would tie vines to their ankles and then leap from the heights of the platform to test their sense of manhood whilst other tribal members would dance and sing rhythmically and encourage the young initiates to perform fearlessly in order to demonstrate their sense of manhood and virility. 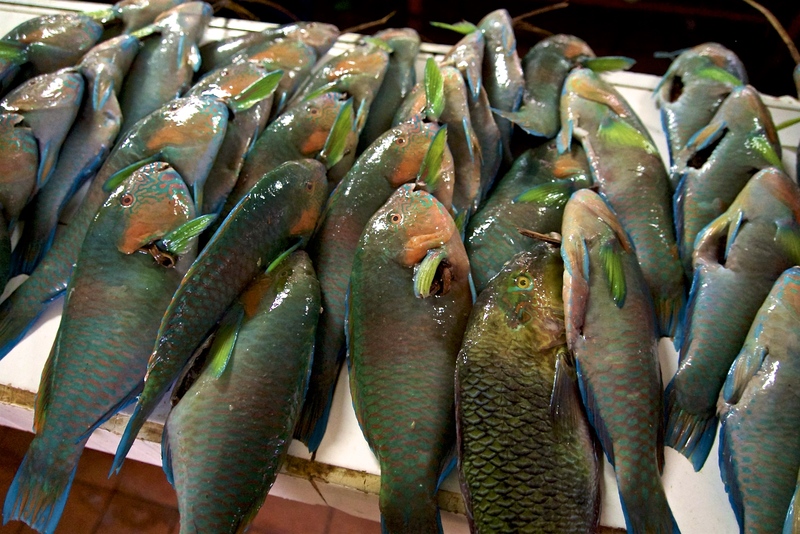 The Pacific islands remote locations are a challenge for film makers on limited budgets but every challenge in making the documentary Blue In Focus has a reason and a purpose in the ongoing challenge to produce an informative educational documentary on the need to conserve our planets rapidly disappearing marine biodiversity.